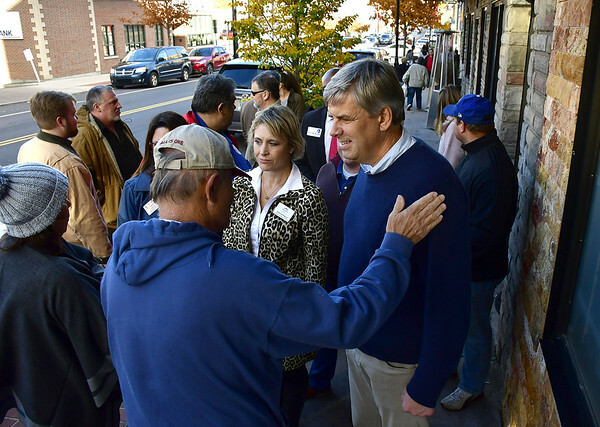 NEW BRITAIN - Republican gubernatorial candidate Bob Stefanowski and more of his party’s hopefuls paid a visit to Little Poland Saturday ahead of Tuesday’s election. Stefanowski, whose grandparents come from Poland, is no stranger to the city’s Polish community, having attended the Little Poland festival, toured Little Poland with Mayor Erin Stewart and attended the recent celebration of 100 years of Polish independence at Central Connecticut State University. 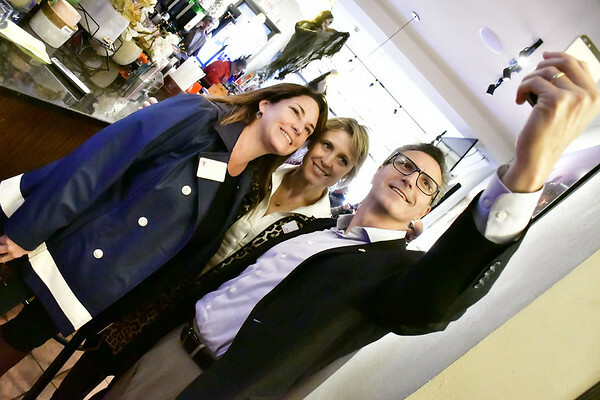 He arrived Saturday near the Little Poland sign, in a van plastered with campaign logos, and greeted supporters and community leaders waiting for him. “You’ve got my vote,” said one young man who honked his horn and waved as he left the intersection of Main Street and Broad Street. 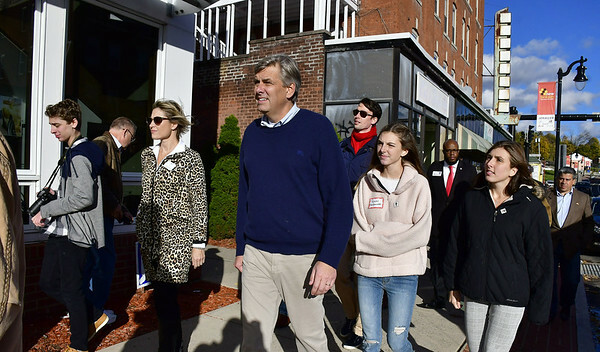 Other candidates who joined Stefanowski on the tour included Robert Smedley, a candidate in the 6th Senate District; Tremell Collins, a candidate in the 26th House District; Manny Santos, running for Congress’ 5th District seat; Sue Hatfield, running for attorney general; Sue Chapman, is running for secretary of the state; and Thad Gray, running for state treasurer. 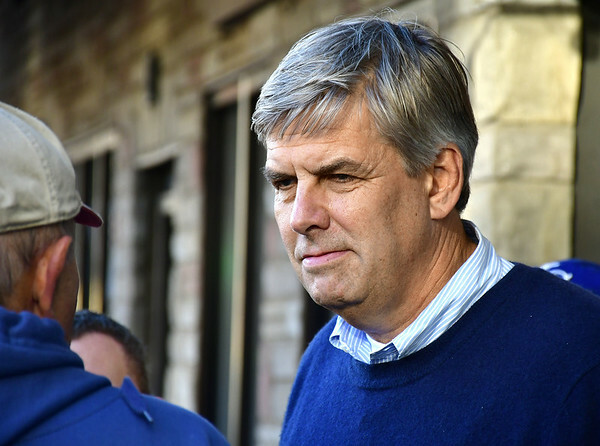 Smedley, who said he regularly patronizes Little Poland businesses, encouraged people to vote for a change in Connecticut. He said that he supports a transportation funding “lockbox” instead of tolls. Santos said Little Poland is a “vibrant” area and that he wants to see it remain that way. He said that the Republican ticket is all about creating jobs and economic development. 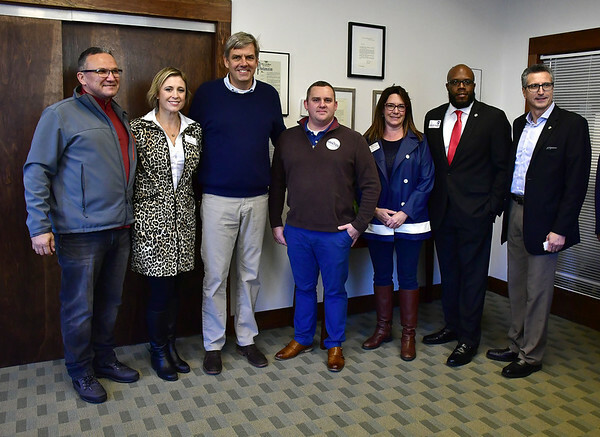 Stefanowski met with a handful of local business owners, among them Beata and Slawek Rulka, owners of Zieleniak Green Grocer. “Do you have any golumnki (stuffed cabbage)?” asked Stefanowski as he shook Beata Rulka’s hand. She urged Stefanowski to take care of local businesses if he is elected. Tony Cane, chairman of the New Britain Republican Town Committee, said he was eager to show off Little Poland. 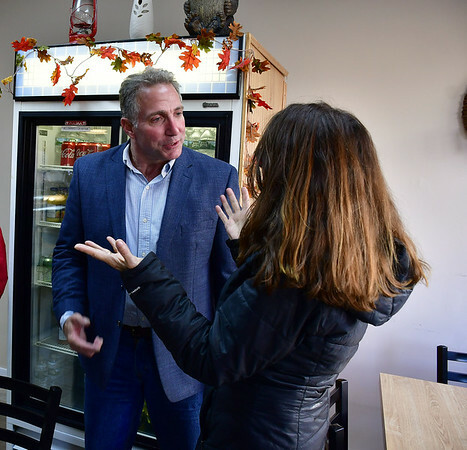 Darek Barcikowski, publisher of the White Eagle, a local Polish newspaper, said he was pleased that both candidates for governor had stopped in Little Poland. 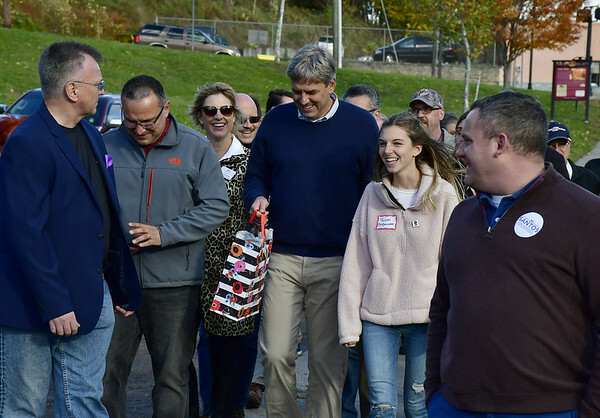 Democratic candidates, including Ned Lamont and Susan Bysiewicz, had toured the area in July. Posted in New Britain Herald, New Britain, State on Sunday, 4 November 2018 21:12. Updated: Sunday, 4 November 2018 21:15.